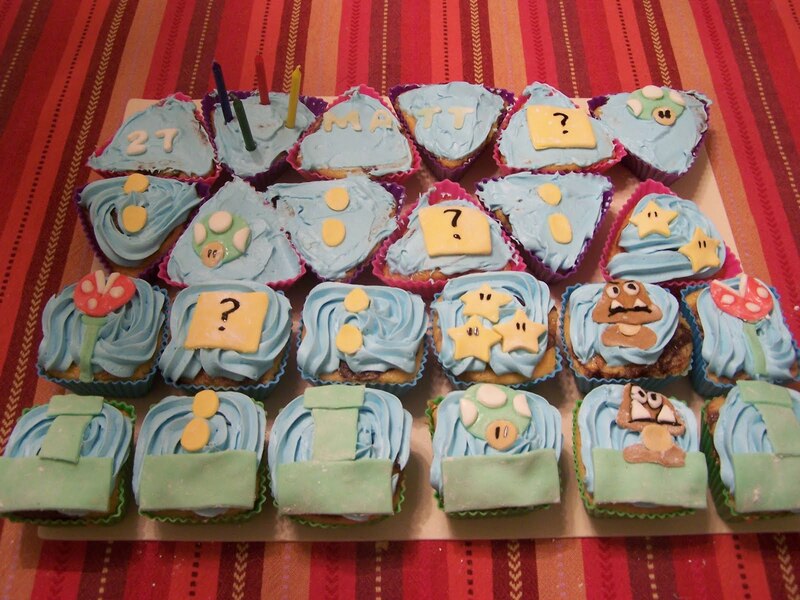 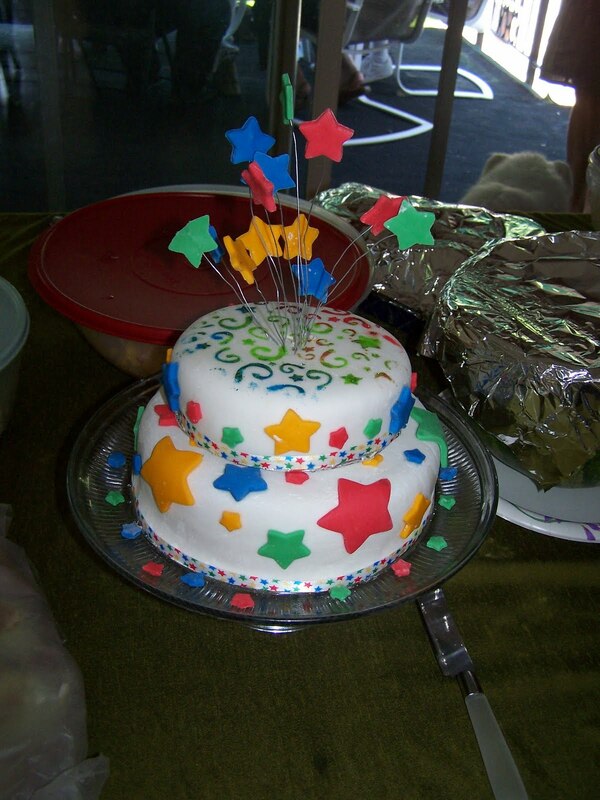 I love to decorate cakes. 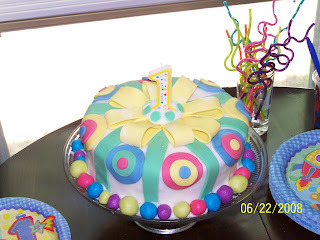 I have a great recipe for marshmallow fondant which is super easy to use and makes cakes looks smooth and beautiful. Here are the ones I have made over the past few years. 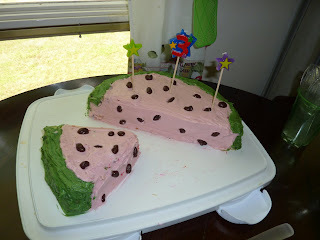 For his 3rd birthday, Sebastian wanted a watermelon cake than he saw on the cover of a magazine. 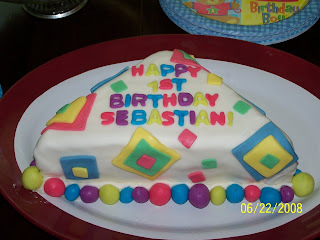 Sebastian's first birthday cake. This was HIS slice. 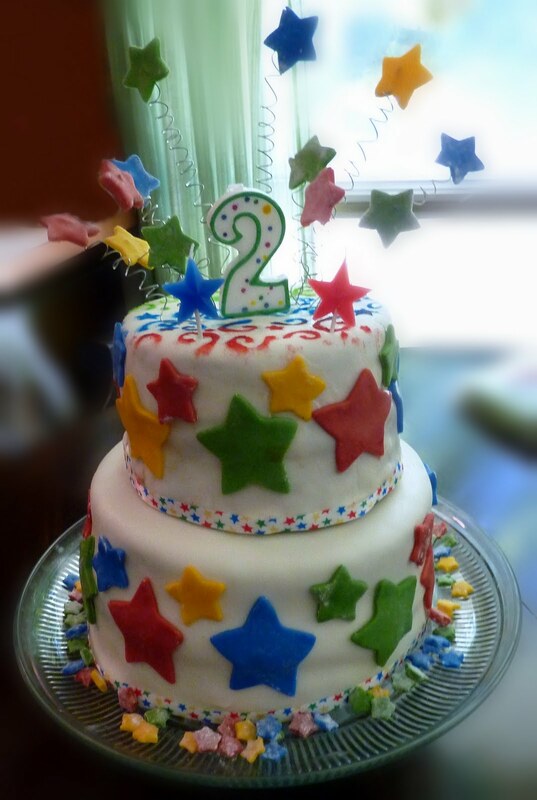 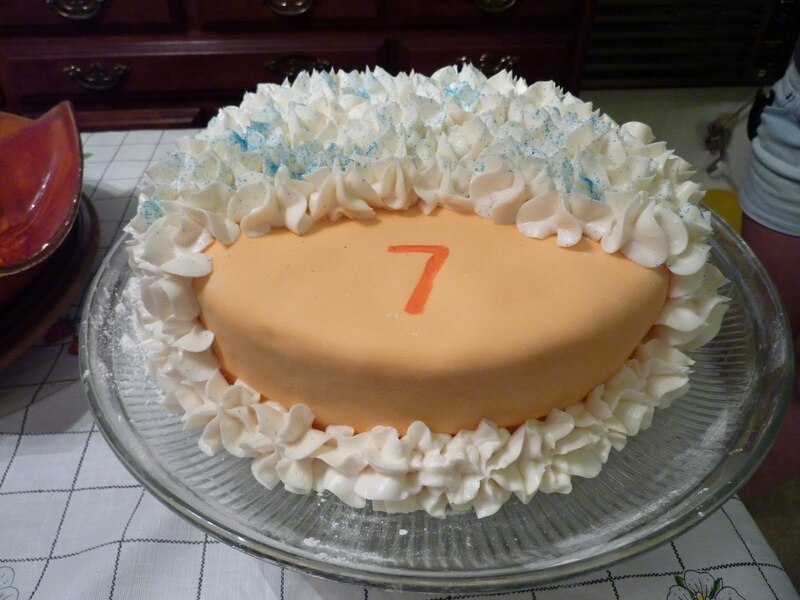 Here is the cake for the rest of the party. 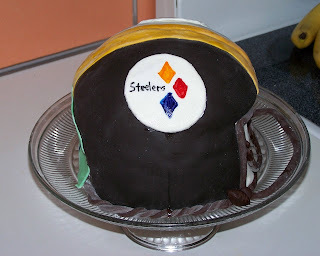 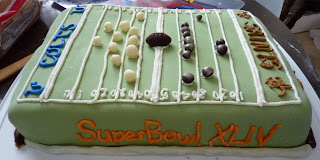 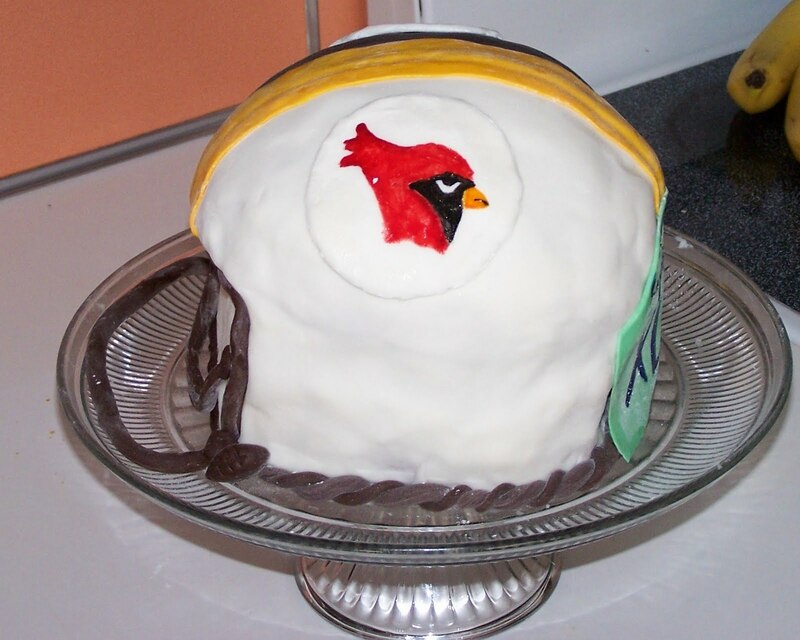 This is one side of a Super Bowl cake I made. This is my first attempt at making and decorating with marshmallow fondant. 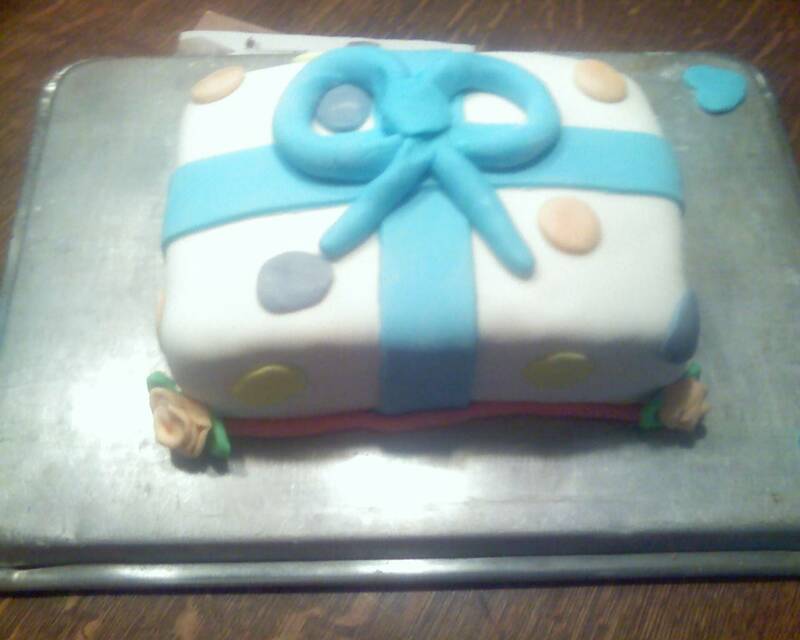 I don't remember the story behind this cake besides my sister wanting a cake to eat. My mom's 50th birthday cake. 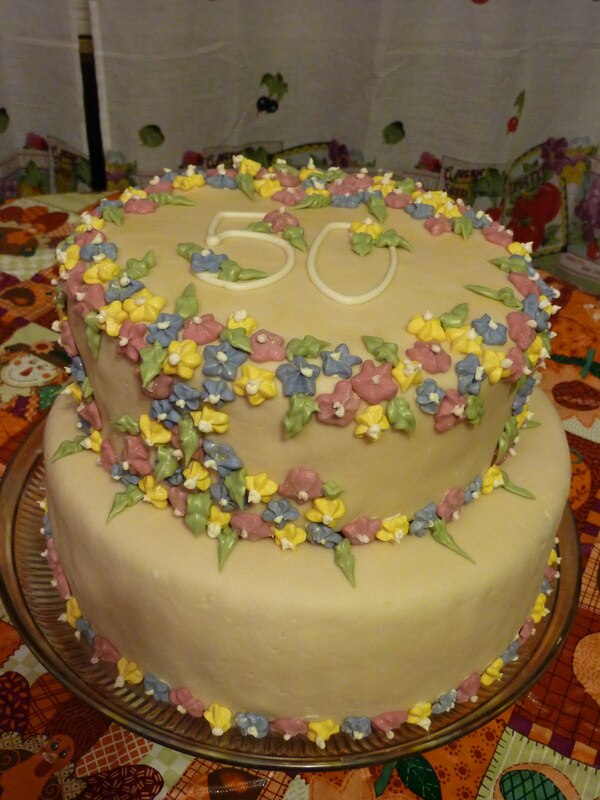 I still have bags of those little flowers. I made millions!